The way the feds tell the story, when celebrity rapper Tyga wanted his very own tiger, he turned to a man known as “Nick the Wrangler” to illegally procure the big cat. The wrangler, whose legal name is Nicholas Lee Bishop, is now sitting in the Broward County main jail on federal charges he was involved in the illegal sale and transportation of Maverick, the Bengal tiger. Bishop, 27, was arrested Thursday in Hallandale Beach. Prosecutors say they want him to remain locked up until he goes to trial in California because he might flee from prosecution. Tyga is not facing any criminal charges. The investigation began in 2014 when, prosecutors say, Bishop used a fake name and falsified documents to purchase the tiger cub from an organization in Indiana. Investigators say that Bishop told them different versions of what happened when they interviewed him several months apart in 2014 and 2015. Bishop initially told investigators he paid $1,500 for the cub “at the request of” Tyga in March 2014. Bishop told investigators he drove to Indiana, “purchased the tiger at the request of Tyga, and then drove with the tiger” back to where Bishop lived at the time, in Henderson, Nevada. Bishop said he didn’t want to drive the animal to the rapper’s Los Angeles area home because he knew it was illegal, under California law, to possess a tiger without a permit. Maverick, the tiger, photographed at an animal sanctuary in 2014. (Handout / Federal court records)“Tyga then took and drove the tiger from Nevada to the mansion that Tyga was renting in Calabasas, California,” investigators wrote in court records. 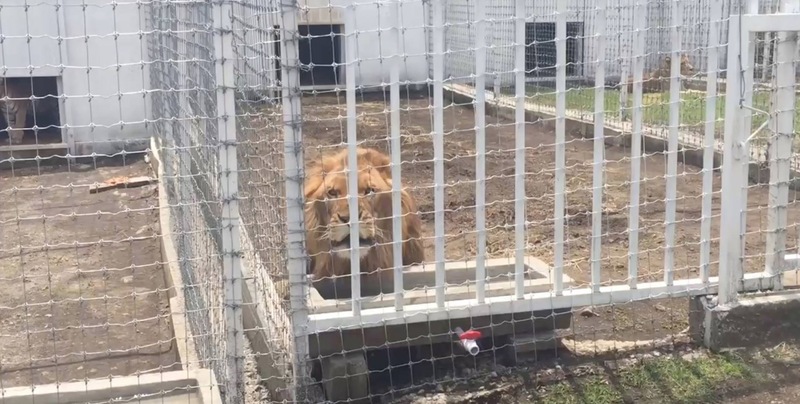 Bishop said he and Tyga had built cages for the tiger at the rapper’s house. “Bishop also said that after Tyga had possessed the tiger for a ‘few months,’ Tyga was afraid of getting caught and asked some friends to ‘get rid of the tiger,’” investigators wrote. According to Bishop, the rapper gave the tiger to a friend who lived in Ventura, about an hour north of Calabasas, in mid-April 2014. Neighbors reported to law enforcement that the tiger briefly escaped from the friend’s house in the residential neighborhood in Ventura. The tiger was photographed, apparently unrestrained, in a backyard, according to court records. Bishop said the Ventura friend then gave the tiger to two brothers who lived in Piru, Calif. When law enforcement went to the Piru home, they found the tiger confined to a dog crate in a backyard shed. Officers seized the tiger, Maverick, and moved him to a California tiger sanctuary where he has lived ever since. After Bishop moved to South Florida, he was interviewed again by law enforcement in early 2015. “Bishop now claimed that he had already been looking for a tiger, and that after he purchased one to keep as a pet, Tyga contacted him and offered him $30,000 to keep the tiger at Tyga’s house for several weeks,” according to court records. Bishop also said he took a flight to Indiana and rented a minivan to drive the tiger back to Nevada, stopping off along the way to visit a friend in Arizona. He said he later had a friend drive the tiger to Tyga’s house in California and left it there for several days before another friend drove the tiger to the Ventura home in the back of a Dodge Ram. Bishop said Tyga paid him $2,000 to cover the tiger expenses. In May 2014, Tyga told law enforcement he had no knowledge of the tiger. 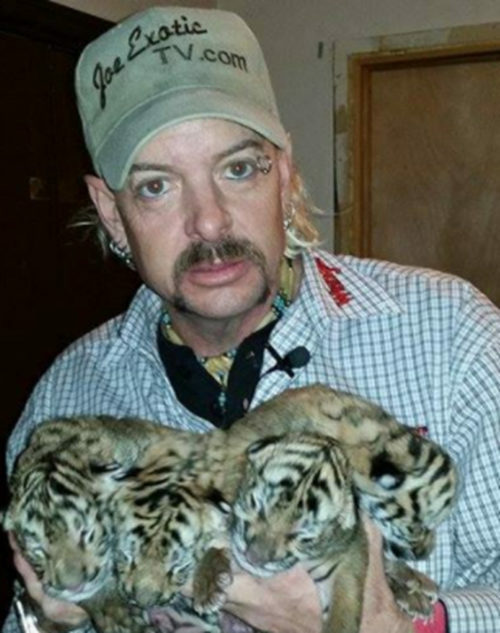 When he was asked about photos that were posted online of him posing with tigers, he told investigators all those tigers were hired from contract companies. He also said he was out of the country when the tiger was reportedly at his home and referred further questions to his attorney, according to court records. Bishop is scheduled for a detention hearing on Wednesday in federal court in Fort Lauderdale. He has not yet indicated if he plans to fight the allegations. The offense, aiding and abetting the purchase of a prohibited wildlife species, carries a maximum punishment of five years in federal prison. A 450-pound Bengal tiger seized as part of a federal operation targeting wildlife smuggling is being cared for at an animal rescue facility in San Diego County, officials said Friday. Wildlife In Need, Wildlife Indeed by a man who allegedly used false documentation to make the buy for a rapper friend, according to the U.S. Attorney’s Office. Venomous king cobra snakes packed into potato chip cans. Asian songbirds bound and stuffed into a suitcase. And a Bengal tiger cub driven in a vehicle from Indiana to Ventura County. These are just some of the ways people have smuggled protected wildlife into Southern California.